Below you can view all the homes for sale in the Somerset At Autumn Cove subdivision located in Lake Wylie North Carolina. Listings in Somerset At Autumn Cove are updated daily from data we receive from the Charlotte multiple listing service. To learn more about any of these homes or to receive custom notifications when a new property is listed for sale in Somerset At Autumn Cove, give us a call at 704 604 8836. This home will not disappoint! Come by today! MLS#3493503. Keller Williams University City. With this home there is no shortage of comfort, on a cul-de-sac road, being situated on a large corner-wooded lot, you will enjoy privacy and relaxation, maybe while sitting on the front or back covered porches. Welcome Home! MLS#3491409. Better Homes and Gardens Real Estate Paracle. The perfect place to call home. MLS#3485079. Carolina Homes Connection, LLC. It is zoned in Clover’s amazing school district and boasts low SC taxes! MLS#3487941. Select Premium Properties Inc.
More features include: Open Kitchen, Breakfast Nook, Dining Room, Fenced Yard, Exterior Motion Sensor Lighting, Master on the Main floor, Gas Fireplace, TV over Fireplace stays, solid oak hardwood floors, 6 zone irrigation system w/separate meter, 42" cabinets, deck extended 3x the builder's original plan of 10x12, 10 year structural warranty with Ryan Homes, Security System, HVAC Permanent Filters, 10 foot ceilings and more. MLS#3478011. Berkshire Hathaway HomeServices Carolinas Realty. The master bath has a beautiful shower with a bench seat and semi-frameless door. Come visit today! MLS#3481377. Eastwood Homes. The oak tread stairs lead to a loft and three bedrooms, including the master with a tray ceiling and bathroom with a garden tub and separate shower. Come visit today! 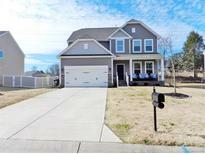 MLS#3481284. Eastwood Homes. Low SC taxes and award winning Clover schools! Must see! MLS#3478490. Allen Tate Lake Wylie. In the award winning Clover SCHOOL DISTRICT! MLS#3470680. Berkshire Hathaway HomeServices Carolinas Realty. Come see this wonderful home today! MLS#3474769. Eastwood Homes. This is a Lake Wylie area community featuring the highly sought out Clover School District and easy access to Hwy 49 for a quick Charlotte commute! Come visit today! MLS#3441767. Eastwood Homes. Plus tons of recreation space in the Family room, 2nd floor loft, and huge basement game room! Ask about "Close Out" incentives. MLS#3429959. Eastwood Homes. Come see this wonderful home today! MLS#3425008. Eastwood Homes. Come see this wonderful home today! MLS#3396043. Eastwood Homes. The community features a huge pool plus on-site boat storage, too. Come visit today! MLS#3365803. Eastwood Homes.